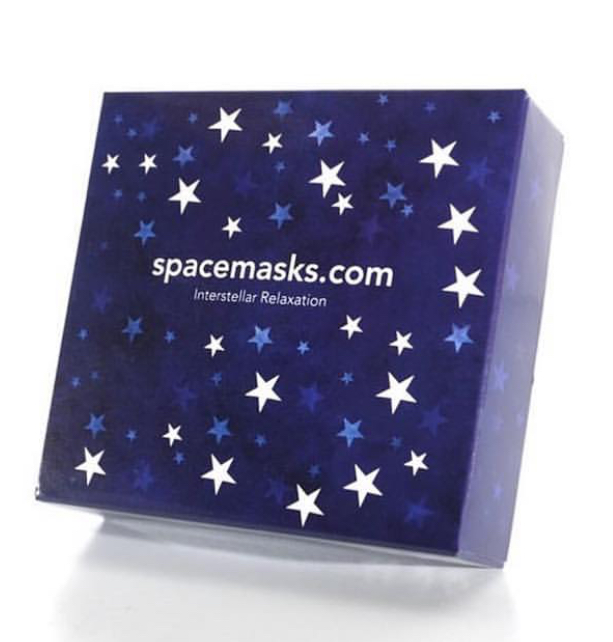 From the moment you open the box and read how to use the mask you will be temptingly invited on a journey of relaxation. There are 5 cute little foil pouches in each box. There are detailed instructions on the box and the pouches. Inside the pouch you will find the jasmine infused Space Mask. Now just place the Space Mask over your eyes and the loops over your ears. Recline and enjoy. The heating process works by a thin layer of iron filings entwining with the oxygen molecules in the air. It is totally safe. The ever so relaxing jasmine is in a low concentration. So you can enjoy its fragrance without irritating the skin.